Every September I always have at least a few green tomatoes dangling in the garden. This is always a good thing because while ripe juicy red tomatoes are wonderful, green tomatoes are much more of a delicacy for me and hard to come by any other time of year. Here are some of the candidates from the garden in various sizes. Strange looking but tasty in their own right. And if you don’t have any in the garden, I bet a neighbor, a farm stand or a farmers market has plenty of them right now. And you know what? I have even done this with ripe tomatoes and they’re wonderful too. 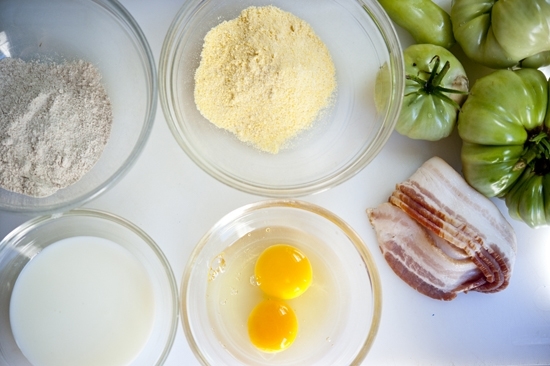 And here is what you’ll need to bread them well: eggs, milk, flour, cornmeal and bacon! Cut them into nice thick slices, so you have something juicy to bite into. Then there is bacon, which is for the flava. You render it slowly over low heat in order to release the fat. The fat is what you want to save in order to fry the tomatoes. It gives it that extra special je ne sai quois that only bacon can give. 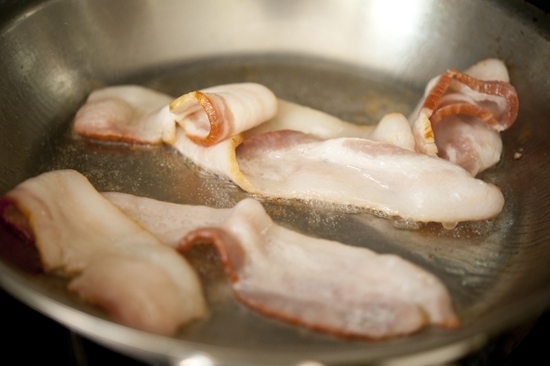 But if you don’t have bacon or want to save time, you could use grape seed or vegetable oil just as easily. The batter is a 3-step process… a milk bath is involved. So is a corn flour bath. And when it is all said and done, this is a wonderful way to say goodbye to summer and hello to fall. Enjoy! 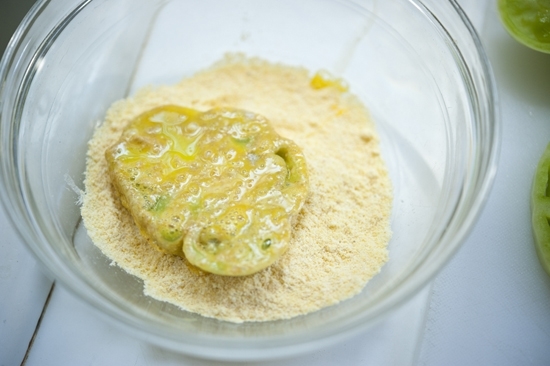 Here is the step-by-step recipe care of Cookin Cowgirl: Fried Green Tomatoes. I just made these for the first time, too! Totally yum. I absolutely adore fried green tomatoes! 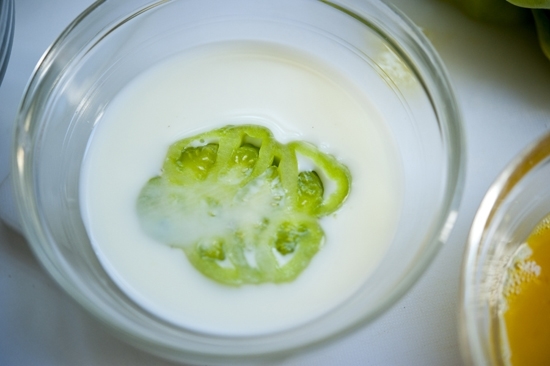 Fried green tomatoes in bacon fat? Yessssss…. 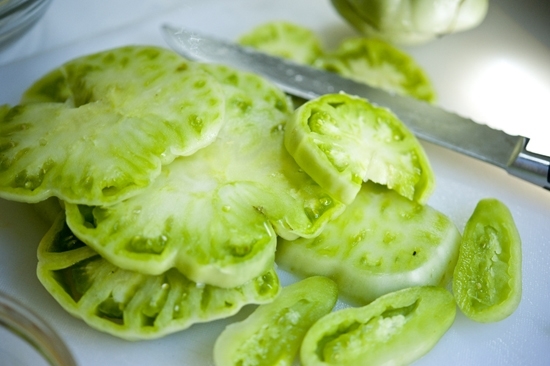 Looks so good… we have a few green tomatoes ourselves… this is a great idea! I am a sucker for fried food. it would be the one food I would want if stranded on a dessert island. yet, fried in bacon fat – no we are talkin’ lady! you are my kind of girl. I think I need a visit to the south – I could get real comfortable there! I distinctly remember the first time I had fried green tomatoes…. I didn’t think I would like them and I was right… I LOVED them!!! They weren’t fried in bacon fat though…. And I thought I LOVED them before… these are over the top!!! Fried green tomatoes-always reminds me of the movie. One of my favorites. Even been to the Whistle Stop Cafe:) Yours look perfect! I have never had fried green tomatoes but have always wanted to try them. Looks delicious! I have never had fried green tomatoes. These look so good! I swoon for FGT (and not just b.c I love that movie so much). Reading this post made me very hungry! I can say that you have a good idea and thank you for sharing this to us. 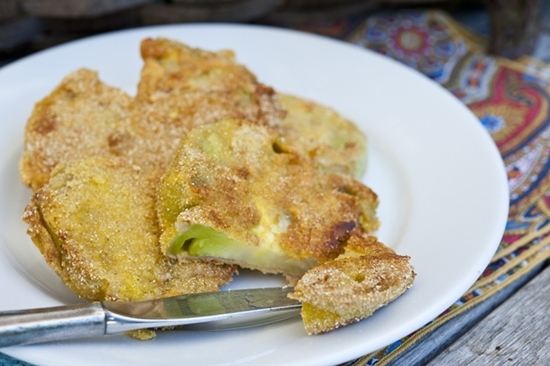 I have never had fried green tomatoes but have always wanted to try them. Hoping that my friends would really love it too and find it good. Looks delicious! Love a BLT with fried green tomatoes. A little bit different and just delicious. 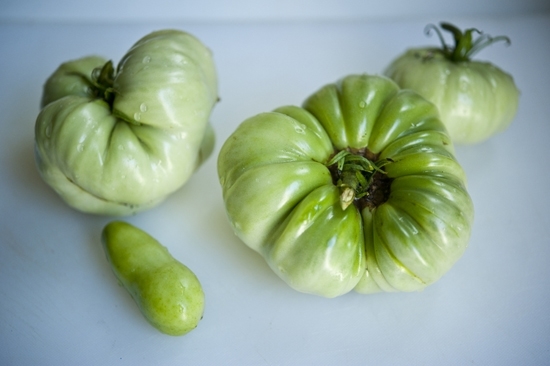 I have some green tomatoes and had not a clue what to of with them. Now clearly I know 🙂 Love this….& the bacon fat is genius! What an excellent recipe. A great way to try something new.